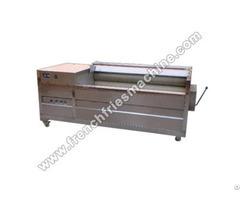 In the French fries production line, after frying process, there will be much oil on the surface of French fries, which not only wastes the oil, but also influences the taste and healthy. 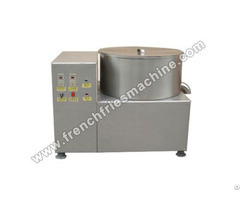 The de-oiling machine adopts centrifugal principle to effectively remove the extra oil on the surface of French fries. After de-oiling, the French fries have beautiful appearance, crisp and appetizing taste without greasy, easy to store and pack. The oil collected could be recycled to reduce waste and increase profit. 1. 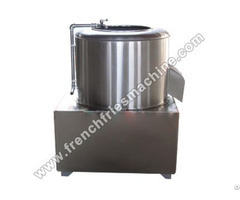 Made of stainless steel, durable, hygiene and easy to clean. 2. Fully-closed de-oiling environment, clean and healthy. 3. High efficiency, low noise, energy saving. 4. 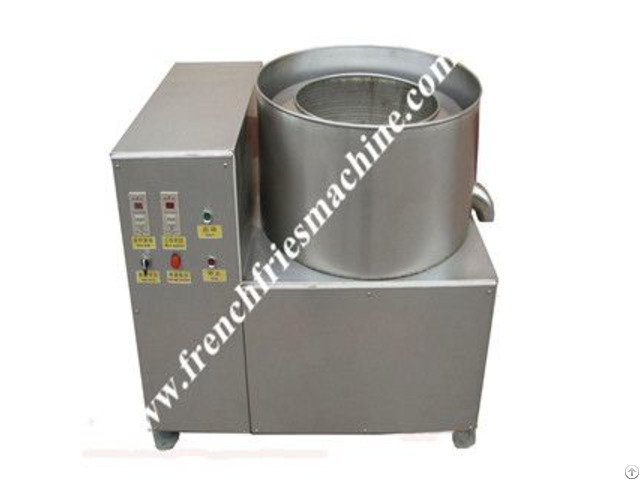 Automatic digital control, easy to operate. The operation time could be freely set between 90 s-120 s.
5. Automatic electromagnetic brake offers good brake performance. Brake on delay is usually set between 3 s-5 s.
6. Frequency conversion adjusting speed. 7. No shock during operation with shock absorber installed, extending working life and ensure a safety working environment. 8. The heavy base makes it more stable.